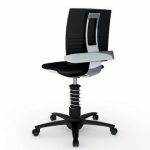 The 3Dee Active Office Chair is different from other office chairs. The 3D movement mechanism enables intuitive, multi directional 3D movement of the entire seat surface, based around the natural bio mechanical model of the human being. 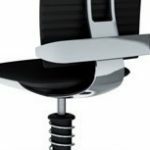 The 3Dee Active Office Chair features advanced technology, unparalleled ergonomics and futuristic design – the essence of modern office seating. The 3D technology permits natural movement in three dimensions. In addition, the ergonomic backrest with patented lamellar technology provides support without restricting freedom of movement. The 3Dee Active Office Chair supports and encourages movement sideways, backwards and forwards and up and down keeping the body active and healthy. 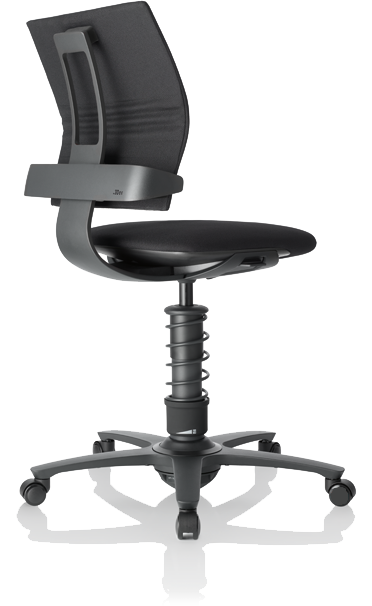 The comfortable, mid-height backrest and individual adjustability offer uncompromised lumbar support. The 3Dee compliments the modern workplace, and creative living spaces. The 3D mechanism enables intuitive, multi directional 3D movement of the entire seat surface. The seat with flexible front edge moves dynamically in all directions and adapts itself to each person’s thigh length. 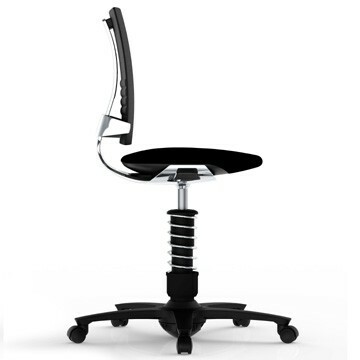 The adjustable backrest lumbar support permits individual setting of the seat depth. Full vertical movement (up to about 10 cm) with adjustable range of movement. Arched seat surfaces with flexible front edge, support upright sitting positions and enhance the circulation of blood and prevent pressure points. Active forward tilt through (up to 15° forward tilt). Backrest is supplied as standard with a flexible backrest mesh that adapts to all back shapes. The 3Dee lumbar support can be adjusted individually between 2.5 and 5.5cm.